With a year of next gen experience under our belts, the collective gaming community is beginning to grasp what will inevitably separate this generation of gaming from those that came before. Among other things, a new drive towards streaming, sharing, and interconnected gameplay experiences are all shaping up to be potential hallmarks of the era. But one other trend has presented itself in this last year; one that could serve as a less-than-pleasant tendency among the new generation of consoles: the unfinished game. 2014 saw a slew of triple A games that, for a variety of reasons, weren’t able to meet the anticipation fans had set for them. More often than not, this disappointment was at least in part brought about by bugs, connectivity issues, or missing components that failed to be addressed before launch. Destiny, which prior to release was viewed by many as a beacon for a new era in multiplayer gaming, was plagued by connectivity issues that still affect some users (particularly those on college campuses) to this day. The inability to connect becomes detrimental for users who find themselves in situations where the game in question only sports an online mode they can’t access, effectively leaving consumers with a $60.00 piece of box art. Fans of the recently released Halo: Master Chief Collection similarly fell victim to a number of connectivity issues that created matchmaking and connectivity errors. Playstation 4 users eager for the system’s first exclusive racing title were surprised when even after a yearlong delay, Drive Club launched with various multiplayer issues that eventually warranted a formal apology by Playstation head Shuhei Yoshida directed towards those who paid full price for the seemingly unfinished game. 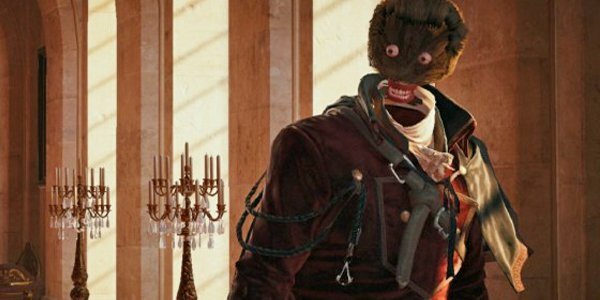 Ubisoft’s Assassin’s Creed: Unity perhaps served as the epitome of this issue, launching last November with a variety of glitches and bugs that affected Unity in any way from plummeting frame rate to downright freezing and crashing users’ consoles. Oh, did I forget to mention the glitch where pivotal characters lose their faces? Evidently, Ubisoft has apologized profusely, insisting that patches would be laid out to address the concerns that fans have made. This over reliance on installing patches is another concern that modern gaming faces, as nearly every game released in recent memory is met with a “day-one patch” addressing any issues that game developers weren’t able to fix on the disc due to publishing deadlines. While the insistence that game developers will fix their unfinished problems is relieving, it presents a whole new web of issues brought along by the unfinished game. First, an admittedly small demographic of gamers that are not always in access of internet connections are effectively ignored by developers, buying what is in essence a broken game that requires a day-one patch which they can’t access in order to enjoy the game as it was meant to be. On a larger scale, the over reliance on patches may present a major issue to the financial sustainability of the gaming industry. Rolling out patches in the days, weeks, and months following the release of a title is effectively telling gamers that the first day is not the best time to buy a game. As any industry statistic will reveal, games are simply never going to sell as well as they did on their first week of release. Gamers learning that purchasing at launch will not get them the most value for their money will hold off on buying until a later date, during which time they may be faced with other forms of entertainment to spend their money on – or otherwise lose interest in said game entirely. While often unsettling, 2014’s trend of unfinished games doesn’t always need to be a bad thing. The cases above have shown incomplete games being rushed into release, but developers can alternatively take the route of delaying their games until a later date to refine any issues. 2014 also saw games like Batman: Arkham Knight and The Order: 1886 pushed back from a holiday 2014 release to a launch somewhere in the first and second quarters of 2015. These games, which are shaping up to be two of the most visually impressive games on the new hardware, will be gladly welcomed at a later date, provided it means that they arrive in fully polished, play-tested form (though if Drive Club has taught us anything, it’s that a delay doesn’t necessarily solve everything!). It’s far too soon to claim that the unfinished game will serve as a defining feature of this new era of gaming, though it was certainly an indicator of 2014. Of course, there were plenty of exceptions to this trend, with inFamous Second Son, Smash Bros., and Sunset Overdrive all proving that 2014 had some outstanding releases. But for the sake of industry sustainability – which relies heavily on the revenue brought in by games’ first week sales – gamers must not be taught to avoid purchasing titles at launch, and studios’ reliance on patching their unfinished games at a later date must be dramatically lessened.